I recently Photoshop’d a 132 x 90 px embedded w/ 256 colors – splash BMP file for my Motorola XPR 7550. I was pleasantly surprised w/ how nicely it shows on the radio. Below are a couple of pictures for your reference. And, also added the BMP file I whipped together. I hope this message find you well. I just ordered a TYT MD-380 could you please send me the web sites or forms as an attachment so I could register my radio. I should have it later next week. thanks for reaching out. I replied to you via an email w/ link offline. Have a great DMR Experience and please spread the word! If you could make one of these for mine it would be awesome as I don’t have photoshop. 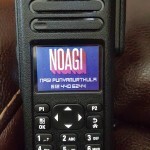 I could also use one for both of my XPR-5550’s too but I know that the L X W is a different size for the mobile radio. Whenever you can get to it is cool. Email sent Nagi. Thank you so much!! 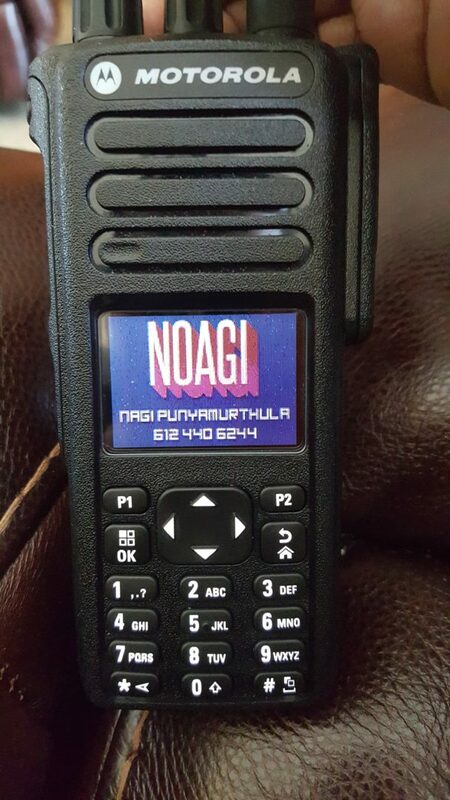 hi Kevin – You need a splash screen for which radio ?? I’ve been trying to find software to make up a splash screen for my newly purchased XPR 5550 and am having zero luck. Are you still cranking out screens for folks? If so, and if you can do one with my call for the 5550 I’d much appreciate it. The image size for the XPR 5550 is 160 x 72, 256 color. And if you’re too busy or this is just something you can’t take on, please, no worries at all. Using the info you’ve provided I managed to make my own splash with my call, name and phone on a pic of the flag. In my case I used IrfanView to do the edits and conversion…worked great. My question now is: How to make the splash stay on just a little longer? Thanks Michael – glad you like it. Just wanted to say thanks for the splash screens!! They look great! email sent. Thanks in advance for making the splash screens. hi Mike – have not seen your email yet. I’ll be happy to make one once I see your email. I just now resent it.